Jenice Armstead will be having a “Book Signing” event at Barnes and Noble for their annual “Local Author Event” on May 21st, from 2pm – 4pm at the Barnes and Noble Wiregrass the Shoppes. The Complete “Pep Talks Book Series” consists of 5 practical books which display a new way of interviewing and obtaining a job in today’s competitive market. The Pep Talks Book Series is all about giving the reader an advantage over their competitors when working toward the goal of gaining more knowledge and understanding in this new job market. This new job market is all out unconventional ways of obtaining knowledge while gaining employment. The Pep Talks Book Series explains how the new Job market knowledge and understanding how to better improve the chances of being “individually recognized” as a professional are vital. 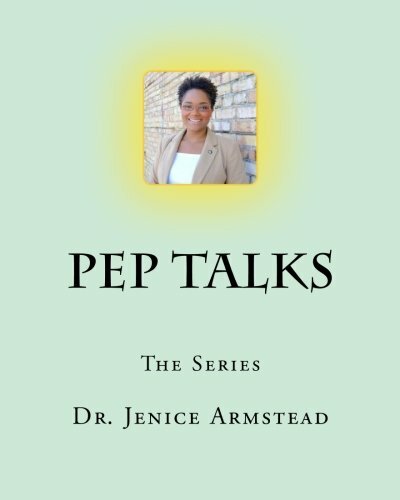 Mark your calendars for May 21st, from 2pm – 4pm to come out and meet and ask Jenice Armstead your employment questions and get your copy of “Pep Talks” the series. This entry was posted in Events and tagged author, barnes and noble, book signing, books, Business, business management, Employment, events, Jenice Armstead, pep talks by Jenice Armstead. Bookmark the permalink.